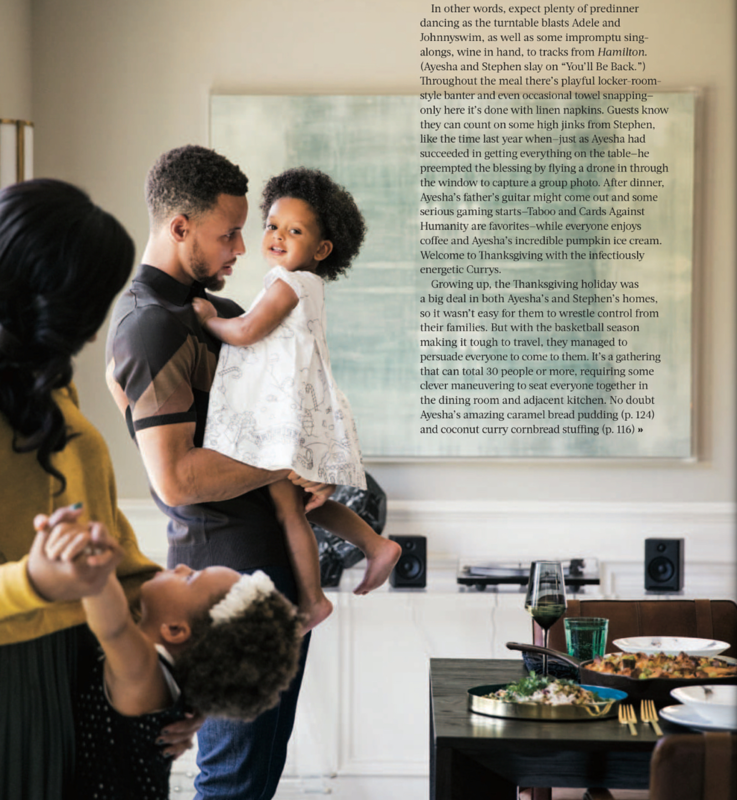 NBA star Steph Curry, Wife Ayesha Curry and their two beautiful daughters grace the pages of Food & Wine Magazine November ’17. 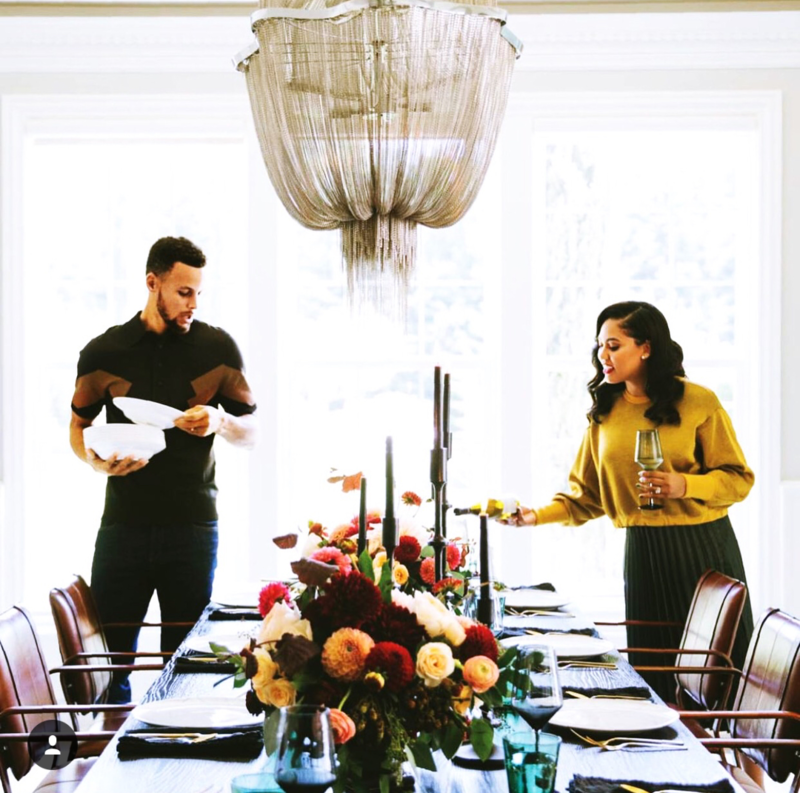 The couple shares a fondness for cooking and fine wine. 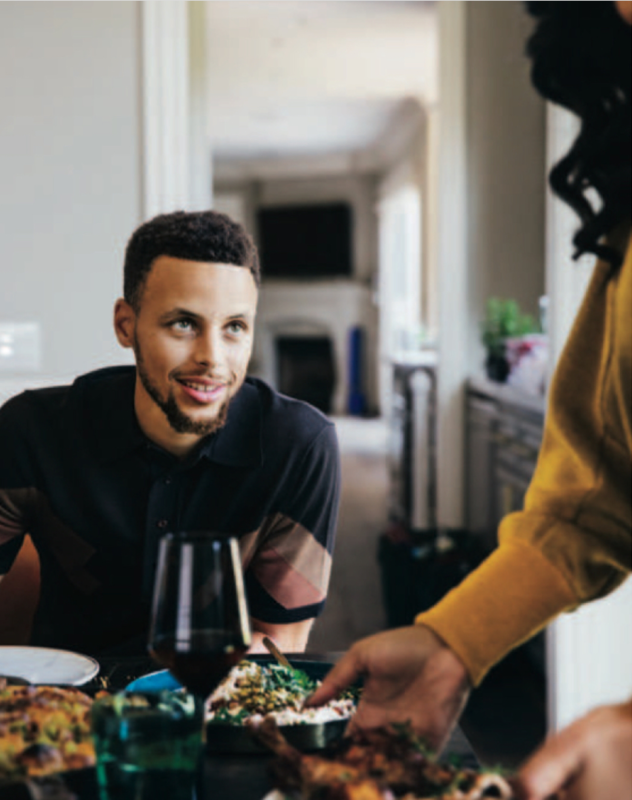 Ayesha is also a superb cook. 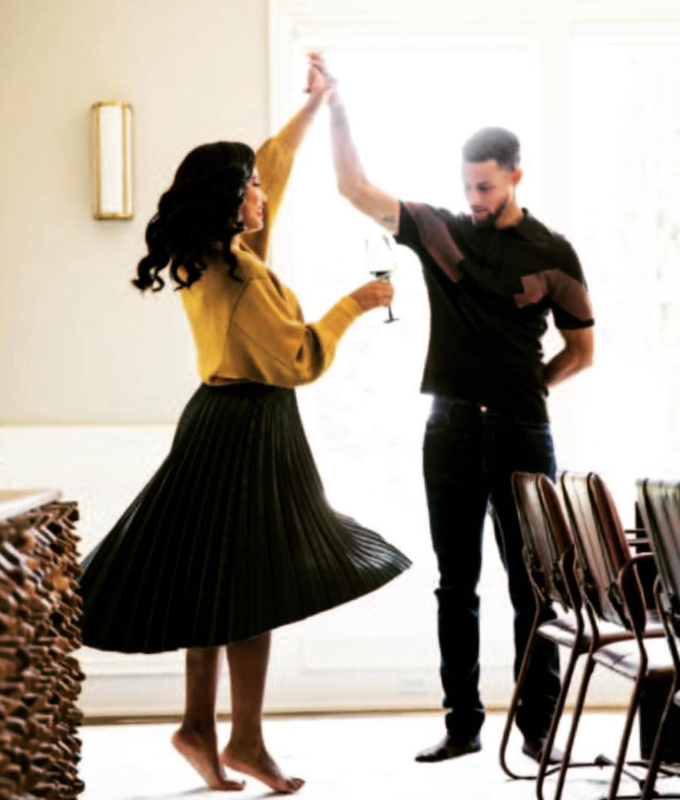 For the feature, Steph wore a Neil Barrett paneled polo shirt.